Ideal for natural, healthy-looking and radiant skin. Effortless beauty in an instant thanks to Erborian high-tech, multi-use formulas. Improve the appearance of your skin, making it look luminous and soft, with the use of our bestselling finishers. 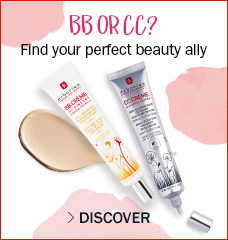 The CC Creme intelligent, hybrid formula transforms your skin to give it an all-natural radiant and ultra-soft finish. CC Creme is a multi-purpose formula: this "High Definition" skin perfector exists in three shades: Clair, Dore and Caramel. CC Creme in Dore fits medium to olive skin tones with green, yellow, or golden undertones. 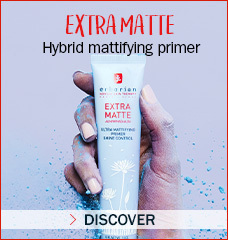 Its formula contains encapsulated pigments that adapt to your skin tone upon application and enhance your skin's beauty, naturally revealing a more even, more beautiful complexion. 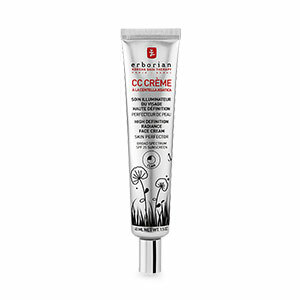 CC Creme HD, is made with Centella Asiatica, which helps to protect and hydrate skin and boost radiance. Use CC Creme to help unify your complexion, camouflage dehydration fine lines and refine the appearance of skin's texture. 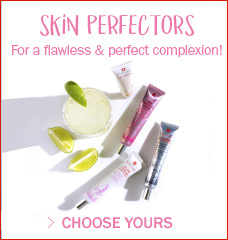 Ultra natural, healthy-looking and radiant, your skin looks flawless, in "High Definition".